This gorgeous Colorado real wedding comes from Brinton Studios and features not one but TWO Elle & Jae accessories. 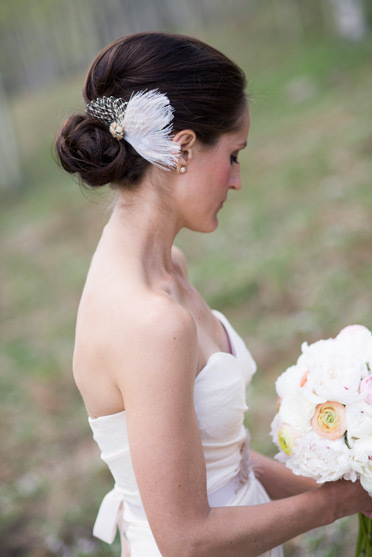 Kelly & Erik got married at Beano's Cabin in Beaver Creak, with the bride wearing the #402 cream peacock and french netting comb along with the #305 dusty pink ostrich, flower and jade sash, purchased at our favorite Colorado bridal boutique, Anna Bé. This setting is beyond beautiful! Love those antler chandaliers. What a cool cabin to have a reception. To see the full gallery of photos, please click here. Thank you Kelly for sharing the photos from your gorgeous day!